Housebeautiful recently did this exercise, where they asked 15 designers to put together tablescapes using the old favorite white tableware which almost everyone has ( except me i think !!) Here are five of my favorite ones...one can definitely use some of the clever ideas from here at home...to see more hop to housebeautiful. Ah...white and deep red...what art!! 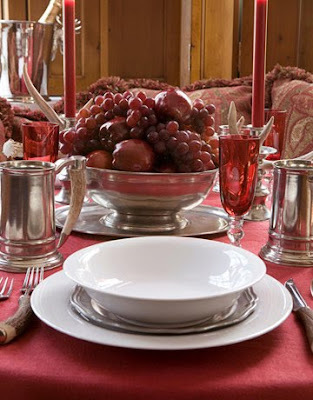 And the overflowing silver bowl of fruits is what makes the tablescape so warm and inviting...don't you agree? 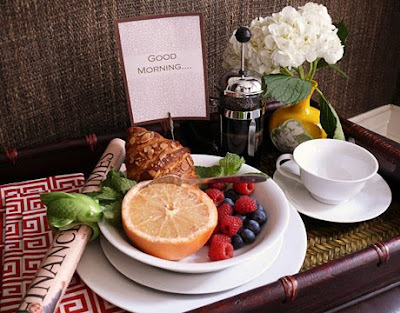 someone get me breakfast in bed NOW!! 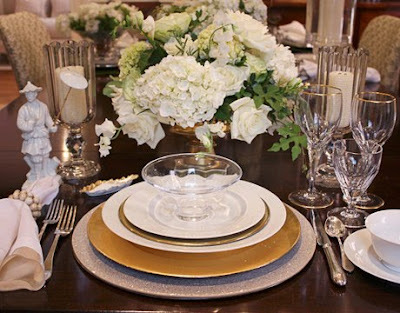 White and silver and gold..how can one go wrong? someone gifted me white tableware...it remained in its box as (and i swear its not a pun) it was flatter than the flatware...your post has given me some ideas. will email you the pics when my whereabouts are more melbourne abouts!! ha ha... so true.. everyone has white!! I have some gifted to me.. lying in a box.. I just cannot seem to do white!!! My regular plates are orange & blue... so moving from there to white.. is a bit of a shock.. 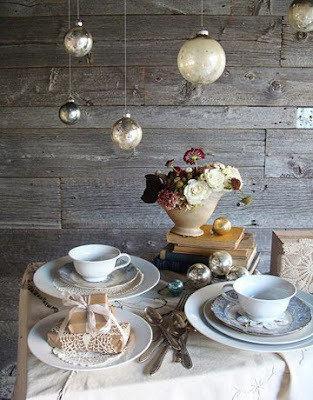 But this post is lovely.. so maybe this Christmas I'll bring out the white..
Can you make white pottery tableware? Then it would be quite exclusive, no? Just saying - I am most impressed that you make your own crockery and stuff! 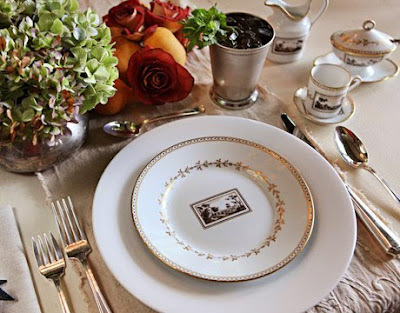 you know i'm soon to be married and so i'm also super excited about setting up new home..i have always loved white china and table ware and now i'm super sure i want it for my house! Love white placesettings. I came across your blog today. I am doing a giveaway on my blog and you might like the napking rings. A set of 12 in either red or white berry wreath. Stop on by and take a peek. It is very interesting for me to read this post. Thanx for it. I like such themes and anything connected to this matter. I would like to read a bit more soon. Pretty interesting place you've got here. Thanks the author for it. I like such themes and everything that is connected to them. I would like to read a bit more on that blog soon.